Britain’s East Midlands Airport has reportedly been closed after an aircraft was forced to make an emergency landing. Local media suggests the aircraft crashed onto the runway after its landing gear failed. The Derby Telegraph reports the incident occurred shortly after midday. Leicestershire Fire and Rescue confirmed it is attending an incident at the airport, the BBC reports. East Midlands Airport is closed due to an accident, Cessna 402 G-MAPP gas had a gear collapse on landing. A source told the Derby Telegraph the aircraft crashed on the runway. “I heard it unfold on the airport traffic control radio. The aircraft did a go-around and just as it came into land there was a mayday call. 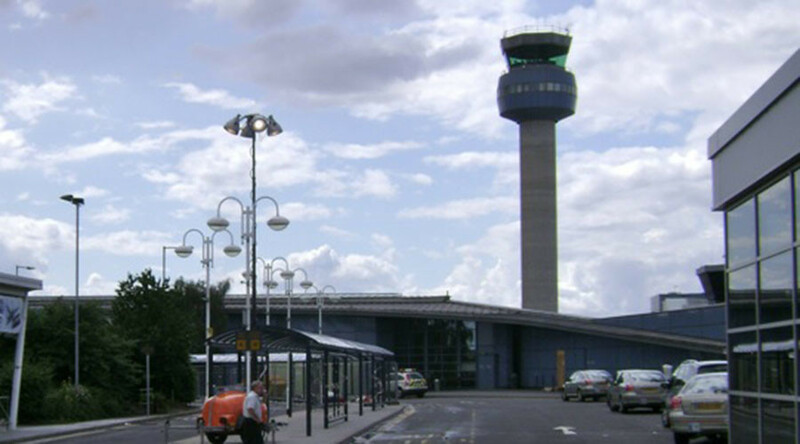 East Midlands Airport confirmed a private light aircraft suffered a landing gear issue. A spokeswoman quoted by the BBC said flights were suspended for two hours. “The airport’s fire service was in attendance and no injuries have been reported,” she said.